For years now, Black Girl in Maine Media has served as a place of learning for white people and also a community for people of color living in primarily white spaces. My pieces have been used across the country in educational and faith communities, including with the Civil Rights Teams in Maine. The work that I have created has held great value for thousands and it has truly been a labor of love while in search of my own liberation—but as we have expanded in the past couple of years, I have had to face the reality that there is a financial cost to all of this. 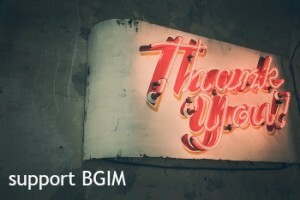 All BGIM contributors are paid, and my rates are comparable to local Maine publications such as The Portland Phoenix and The Bangor Daily News. However, unlike those publications, there are no advertisers or investors generating income for this BGIM Media venture. This is a one-woman shop that only relies on the generosity of readers making either monthly commitments via Patreon or “tips” via PayPal. With over 11,000 “likes” on Facebook and 14,000 followers on Twitter, currently less than 3% of readers contribute to this space financially. Given that we post three to five articles a day on the Facebook page and on average we post two original pieces a week here at the BGIM Media site itself, long term this is simply not tenable. Especially now with the additional costs related to producing a monthly podcast. A local school has donated studio space and a sound engineer, and a local podcast producer has offered a deep discount to produce the show, but it still adds costs to my operations. Recently, I have been personally covering the monthly shortfall but that is not something that I can continue to do long-term. The readership continues to grow; we also have more writers. But while readership is up, the financial support is not keeping pace with that and that is a problem. It means we need your help. Many of my writing/blogging peers have moved to platforms such as Patreon where only paying patrons can read their work. I most certainly have considered going that route but recognizing that some people truly cannot afford a monthly gift of $5 or $10, so that doesn’t sit well with me. Access is important. I’m also offering my platform to new and emerging writers as contributors, and offering them access to a larger audience is important to me. So moving to a closed format is not something that I want to do. However, after taking into consideration the true costs of this site as well as my own time that is often unpaid or greatly underpaid, I am launching a year-end campaign and asking for your help. If this space has been a part of your learning or community, I am asking you to become either a monthly patron or to make a one-time gift. Monthly pledges are preferred because it allows me to set the editorial calendar for my writers knowing exactly what I can afford. However, one-time gifts are groovy too. If you have spent any time online, you know that most media outfits are struggling. We have created a world where it’s easy to forget that the fabulous pieces you read are written by real people with real expenses. It is one of the reasons that as part of our work here, we have paid subscriptions to numerous publications so that we have access to the latest news and commentary as well as making sure that we live our own values—much of which is shared on the Black Girl in Maine Facebook page. Given that my day job is running a small non-profit, I know that you are bombarded with almost daily requests for support. Yet if this space has added value to your life, I am asking you to let us know by making a one-time gift or monthly pledge. Theoretically, no amount is too small, though to be honest, because of money is taken off the top before I ever see your pledges or donations or tips, anything under a buck really is too little, as I will only literally get loose change in the end. But in the end, what I am saying is that modest support—especially by enough people—is just as welcome as large donations or pledges. And perhaps more so if enough people step up with modest pledges and tips.